Why should Silicon Valley and New York City get the most attention when it comes to starting a new business? We've looked across the U.S. at major metropolitan areas to find which ones will increase your chances of entrepreneurial success, and they are not all on the coasts. If you’re young, just starting out in the real world, you could begin somewhere other than the east or west coasts and still have a successful venture. After all, you have your youth, and you are in a better position to take personal finance risks than someone who is twice your age. Plus, some of the most successful companies in business today were started by young entrepreneurs either just out of or still in college. Whether you’re just dreaming about taking the entrepreneurial plunge or are intent on doing it, consider our list of the top 10 cities for young owners of a new business. Success isn’t a guarantee for any entrepreneur, but starting your business in one of these cities is likely to tilt the odds in your favor. First off, you’re most likely to be happy and successful in a city that has your peers, so we factored the percentage of the population in the 18-44 age group into our rankings. But even if you start out alone, you won’t be alone for long – if you’re successful. To make sure you’ll have help, we considered which major metropolitan areas have the most promising pools of talent, namely, which have the highest percentage of folks with bachelor’s degrees. The business birth/death differential is the difference between the number of businesses that opened and the number that closed from 2009 to 2010. A positive differential indicates that more businesses opened than closed, while a negative differential indicates the opposite. A very large positive differential (compared to the national average of -134) indicates that economic conditions in the city are amenable to new businesses starting and operating successfully. In addition to needing to be in an area with a good success rate for new businesses, you need to keep your own costs down; the consumer price index, or CPI, gives us an idea of each city’s cost of living. Cities with CPIs greater than the national average of 100 are more expensive than average, and those below 100 are less expensive. Finally, we included population into our rankings to find out whether an area has a strong potential customer base. El Paso boasts the fifth best birth/death differential of any U.S. city at +44. It ranks only 10th because of its relatively low percentages of residents with at least a bachelor’s degree and those who fall in the 18-44 age group. Also, though its population isn’t among the smallest on this list, El Paso is one of the most isolated. While other cities have the benefit of other larger urban areas within an hour’s drive, the closest major cities to El Paso are several hours away by car. Did you know: Located right across the border from Mexico, minority entrepreneurs have played an important part in El Paso’s entrepreneurial history. The Institute of Oral History at the University of Texas – El Paso completed the Paso del Norte Entrepreneurship Oral History Project to pay tribute to these entrepreneurs by interviewing them and documenting their stories. The home of Brigham Young University, Provo narrowly missed having the greatest percentage of its population in the 18-44 age group by being 0.18% below Austin. Even though it’s only sixth best among the cities on this list, Provo’s birth/death differential of +29 is still one of the best in the country. Did you know: Utah attracted only 1.09% of venture capital investment in 2013, which placed it solidly outside the top 10 states for venture capital funding. On a per capita basis, though, Utah attracted the sixth most funding of all U.S. states, and the two states immediately ahead of it – Washington and New York – beat it by less than $1 per capita. Durham is home to Duke University, one of the most prestigious schools in the country. With spillover of those graduates into the population, nearly half of which have a bachelor’s degree, you have a high-quality talent pool. The birth/death differential may be the worst on this list, but it’s still well above the national median of -134. 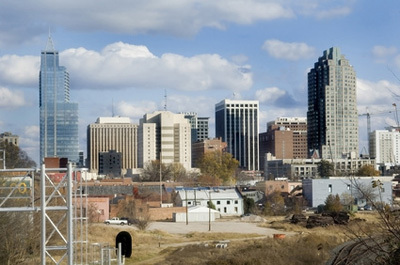 Did you know: Durham is only about a 30-minute drive from number 3 on this list – Raleigh, NC. Raleigh and Durham, along with Chapel Hill, NC, form the three corners of the “Research Triangle,” an area famous for being home to a high concentration of high-tech startup companies. Much of the talent for those startups is generated by the three universities (one to a corner) in the region – Duke University in Durham, the University of North Carolina in Chapel Hill, and North Carolina State University in Raleigh. Rochester has a birth/death differential that’s essentially even and a cost of living that’s in line with the national average. It is a great compromise between easy access to the funding and other resources of the major cities in the Northeast and the benefits of starting a business in a rural area (like a captive audience of customers and lower cost of living). The 31.9% of its population with a bachelor’s degree or higher doesn’t stand out among the cities in this top 10, but it’s still well above the national median at 28.7%. Did you know: The state of New York secured about 7.5% of venture capital investment in 2013 – good enough to make it the third most funded state in the U.S. Still, for a state that’s home to the financial capital of the world, 7.5% of venture capital funding is small compared to California’s 52.5% and even Massachusetts’ 11.2%. The Buffalo/Niagara Falls region has the highest cost of living in the top 10, but it also has high potential in terms of customers. With a population of over 1.1 million, the region is home to a mixture of year-round permanent residents and more than 50,000 students attending one of the nine colleges and universities nearby. The area is also a popular tourist destination in both summer and winter. Did you know: Business plan competitions are held all over the country and are great ways for entrepreneurs to compete for monetary prizes, but Buffalo recently took its local business plan competition to an entirely new level. The newly launched “Build It Buffalo” competition has a $5 million prize, with the first place winner earning $1 million plus mentoring and support services to grow their business. The catch to winning this generous prize? Winners must operate their business in Buffalo for at least one year. With 57.9% of its residents holding at least a bachelor’s degree, Boulder is the most educated city in the U.S. Boulder’s only major drawback is the size of its population – at under 300,000, it’s by far the smallest city in the top 10. Denver, and its 2.5 million residents, is only about a 40-minute drive away, though, which certainly makes it a potential market for new ventures. Did you know: Colorado attracted almost 2% of total venture capital funding in 2013. That may not sound like a lot, but it was good enough to get it ranked among the top 10 U.S. states for venture capital investment. Among our top 10 cities, McAllen/Mission has the lowest percentage of residents with a bachelor’s degree. Other factors keep it high on the list, though: the area has a stellar birth/death differential and cost of living. And at 15% below the national average, McAllen/Mission is the cheapest area on this list in which to live and run a business. Did you know: It’s very appropriate that four Texas cities made the top 10 because the state secured the fourth highest venture capital funding of any U.S. state in 2013. 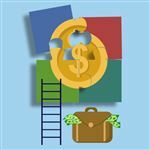 It finished only behind venture capital powerhouses California, Massachusetts, and New York, which combined accounted for over 70% of venture capital investment. The top four cities on this list have the top four birth/death differentials among all U.S. cities, and they’re also the only ones to have a positive differential greater than 100. Raleigh’s +178 puts it just above McAllen/Mission, but the percentage of its population with a bachelor’s degree or higher is more than twice as large and its population is almost 50% greater than its third Texas rival. Did you know: With two cities in the top 10, North Carolina has economic conditions that favor new businesses, an excellent potential customer base, and quality talent. What it doesn’t have is great venture capital prospects. The state attracted only 0.69% of venture capital funding in 2013, ranking it 17th among all U.S. states. Austin is the second of four Texas cities in the top 10. It has the highest percentage of residents in the 18-44 age group on the list at 43.72%, and the second best birth/death differential in the U.S. It ranks just behind Houston because the cost of living is a few percentage points higher and the potential customer base is only about one quarter as large, but these tradeoffs might be worthwhile. 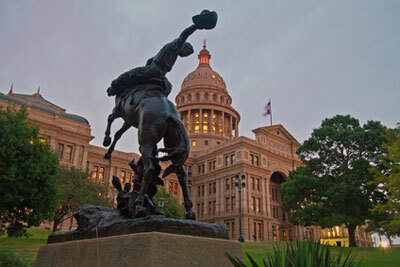 Austin is home to the University of Texas and its 50,000 students, which can be a source of both customers and talent. Did you know: The University of Texas at Austin, the fifth largest U.S. university by enrollment, makes an effort to foster burgeoning business owners. It’s home to the Herb Kelleher Center for Entrepreneurship, the Austin Technology Incubator, and the IC2 Institute. 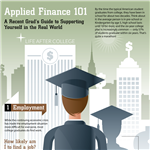 UT–Austin also has degree programs in entrepreneurship at both the undergraduate and graduate levels. 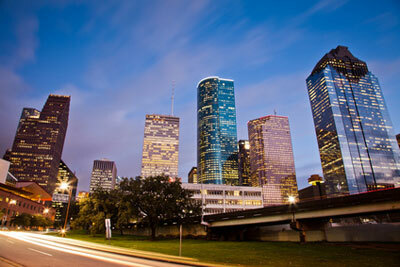 There’s a lot to like about the prospects of starting a business in Houston as a young entrepreneur. For starters, the birth/death differential is the best of all U.S. cities at +482. It’s also the largest city in the top 10 with over 5.6 million residents, which bodes well for a local, consumer-based company. As an added bonus, the cost of living is almost 8% below the national average, which, compared to most large cities, is considered downright cheap. Did you know: Houston is home to a number of organizations that foster local entrepreneurship in several different industries, including the Rice Alliance for Technology and Entrepreneurship, Houston Technology Center, Enventure, TiE Houston, and HackHouston. While you have youth on your side for starting a business, it’s still tough going, as the truth is most businesses do fail. You need as many as factors that will go your way as possible, including the right locale. For the purposes of compiling the rankings, we excluded cities with populations under 250,000. For any city in which CPI could not be obtained, we looked at the index for the city closest to it. We gave the age of the population, CPI, and total population equal weight. The education percentage and birth/death differential were each weighed twice as heavily. Before placing your roots, consider the unique dynamics of your industry and your employee needs. 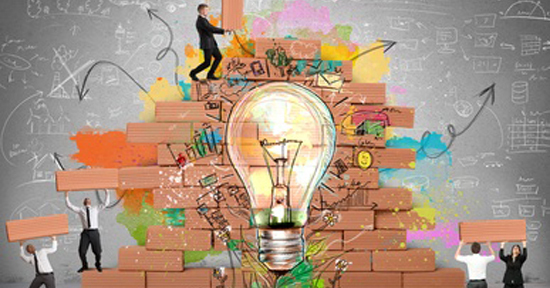 Share on Facebook "Study: Best Cities for Young Entrepreneurs"